I know, from experience, how worrying it is to see your child suffering with mental health issues – feeling helpless, frustrated and anxious are all emotions that parents and carers often feel. We had tried various forms of counselling and therapy, over the years, for our daughter’s extreme anxiety before finally finding The Thrive Programme – not only did it work, and she overcame her symptoms, but it worked quickly! We just wish we had found The Thrive Programme sooner! I have been a teacher for over 20 years and, along with being a Mom of two children, I understand how life for children and teenagers these days can be very complex and quite daunting. With pressures and expectations coming from many different angles such as social media, peers, school issues (SATS, exams, bullying, change of school etc), family life and health problems, it is no wonder that more and more young people are suffering from stress, anxiety, fears or lack of confidence. 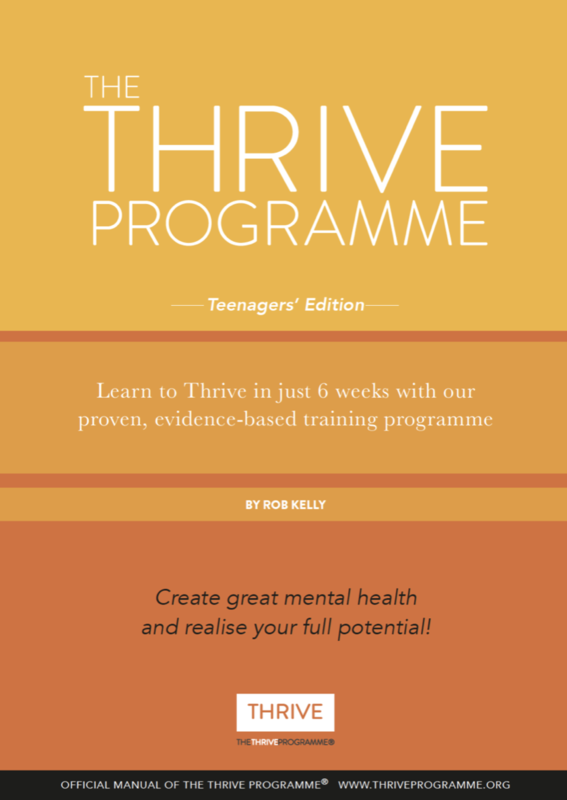 I have taken many children and teenagers through The Thrive Programme and as well as overcome their issues and symptoms, have been able to improve their emotional well-being and resilience. The Thrive Young People’s programme (8-18 years) brings together scientific research and years of clinical experience. It provides an 8-week course of guided learning specifically designed for younger people to get the most out of their lives, and to be happy, healthy and successful. The sessions are fun, interactive and easily accessible with step by step guidance and daily interactive exercises. Individuals will gain an understanding of their psychological make up, build self-esteem and resilience, lower social anxiety and increase their self-belief in all areas of their life. Using my vast experience of working with children and young people, I will be able to present and explain the programme in a fun and the most effective way for their age and specific issues and problems. As their new-found skills develop, they will begin to feel better about themselves, happier healthier and more in control of their lives within a very short space of time. The support of parents/ carers during and in between sessions to motivate their child to complete the daily reading and exercises is an important part of the success of The Thrive for Children and Teenagers Programme. Children under the age of sixteen must be accompanied by a parent/guardian during their appointments, but the session is focused on and tailored to the child. Parents often find the sessions of personal benefit too! Book an initial consultation today to find out more. Is The Thrive Programme® suitable for Children? Do parents need to attend the sessions? What can The Thrive Programme® help with? 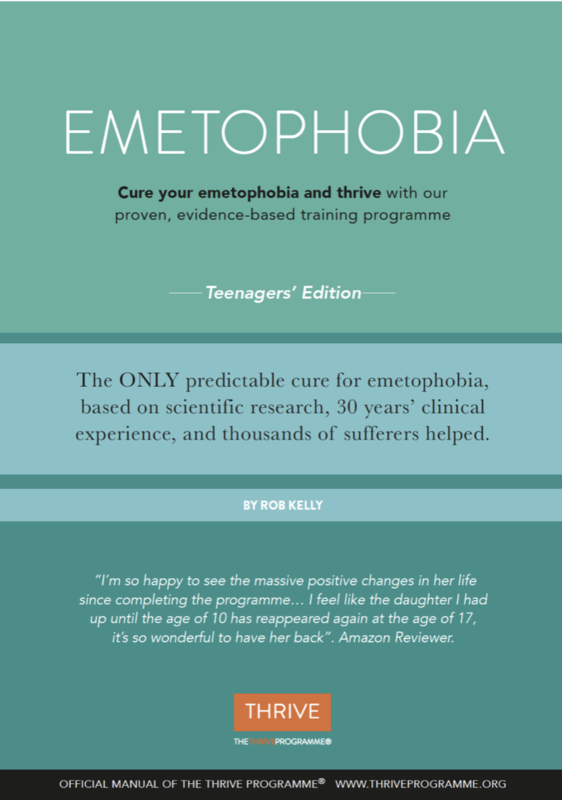 The Thrive Programme can help cure a variety of different disorders, including Emetophobia, Low-Self Esteem and Stress! For a comprehensive list please visit the Symptoms Treated Page.